I’ve got exciting news! I’m giving away 3 of my favorite EveryHue products. 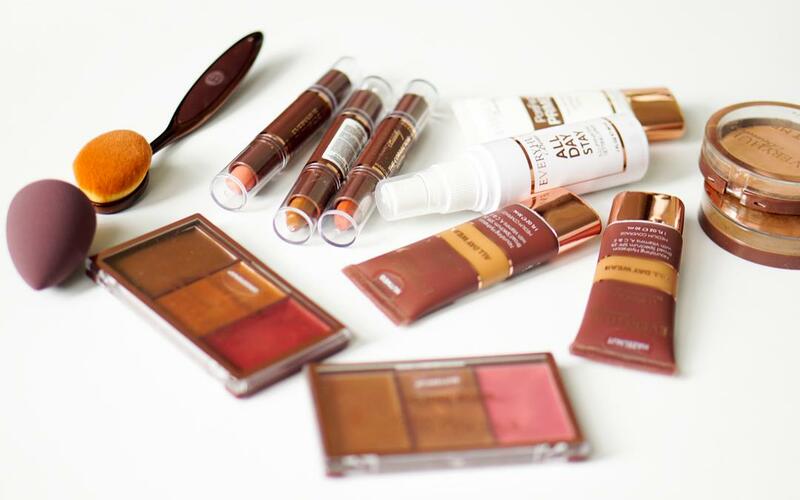 EveryHue Beauty, is a new multicultural brand available at Target. Fan of Real Housewives of Potomac (RHOP)? If so, you may recognize the makeup line because RHOP cast member Gizelle Bryant is a cofounder of the company. To enter the Instagram-only giveaway, go here. I’ve been using EveryHue Beauty products since the fall of last year. What I’ve been loving most about the products is that they leave my skin radiant. And, there’s more. Every product in the line is under $20, with the exception of the foundation brush, which is $28. By the way, the fabulous brush is one of the items I’m giving away. The tinted moisturizer is a go-to for me. Until now, I’d searched for a tinted moisturizer that complements my skin tone with no luck. The EveryHue tinted moisturizers feel like moisturizer, but cover like foundation, all while proving sun protection with a physical sunblock. You see, I knew it was possible. Want help finding your hue? Use the brand’s color matcher here. Now, watch me use my some of my favorite products. Then enter to win some for yourself. Love your blog and would love to win this fab giveaway! Thanks so much, Marsha! Remember to enter by commenting on the video post on Instagram.